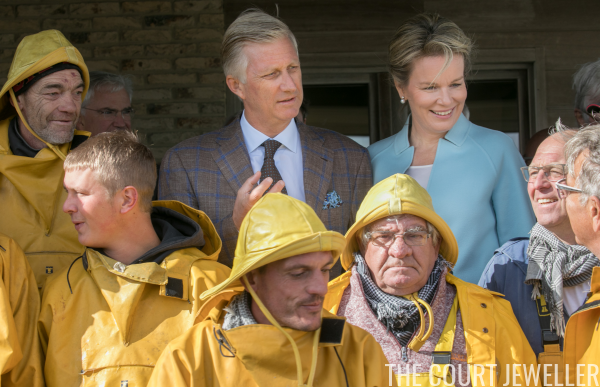 King Philippe and Queen Mathilde of the Belgians went on a rather cool royal engagement on Tuesday, visiting the horse-mounted fishermen of Koksijde. 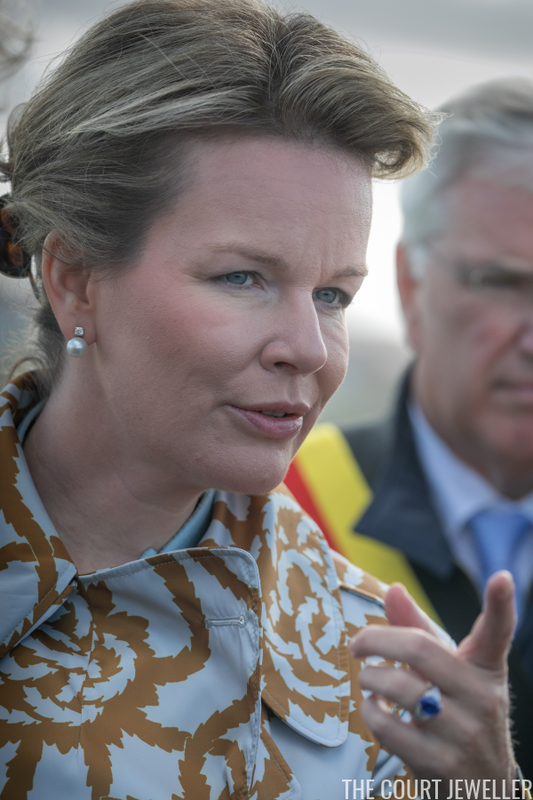 Here's a look at Mathilde's jewels for the engagement. For this maritime outing, Mathilde sensibly kept her jewelry simple, sticking to a pair of earrings and one of her most-worn rings. 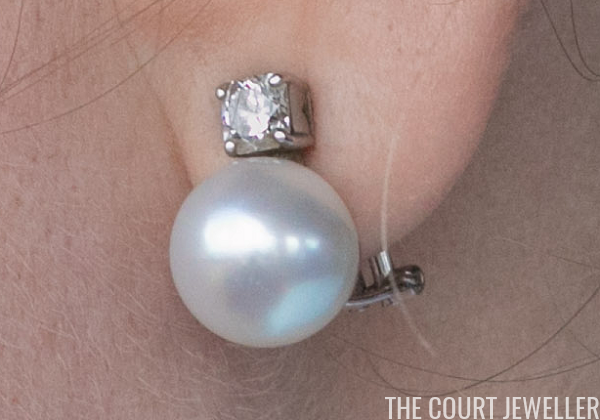 Here's a close-up of the classic diamond and pearl stud earrings. 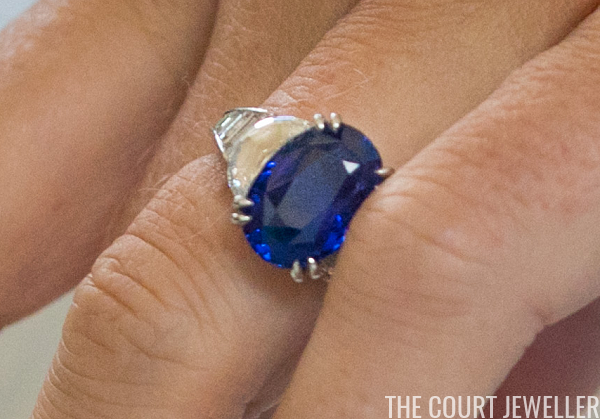 And here's a good look at Mathilde's sapphire and diamond ring, which she often wears in place of her ruby and diamond engagement ring. The ring, made by Wolfers, was Mathilde's tenth wedding anniversary gift from Philippe. Here's a look at both of their ensembles, complete with wellies. 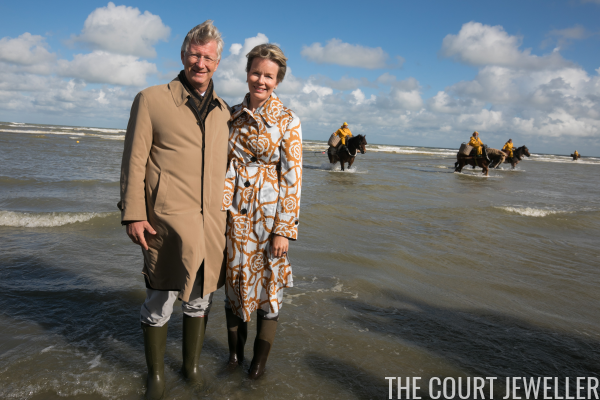 Really, more royal engagements should include horse-mounted fishing, shouldn't they?